In Virginia, reckless driving is a serious infraction that carries heavy penalties for convicted drivers. Depending on the charges and your prior driving history, you can lose your license, go to jail for up to 12 months, or even end up in prison if your actions resulted in the serious bodily injury or death of another. 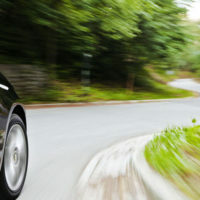 The definition of reckless driving may seem hazy to the average person: “Irrespective of the maximum speeds permitted by law, any person who drives a vehicle on any highway recklessly or at a speed or in a manner so as to endanger the life, limb, or property of any person shall be guilty of reckless driving,” according to statute 46.2-852. The term “reckless,” according to the Supreme Court in the ruling of Powers v. Commonwealth, “imparts a disregard by the driver of a motor vehicle for the consequences of his act and an indifference to the safety of life, limb or property.” You may be wondering what that means in the context of a specific driving infraction. Our Winchester attorneys are adept at handling reckless driving charges and can walk you through what you are up against and how to build the strongest possible case in your defense. Racing two or more cars, on highways, roads, or parking lots open to the public. While intoxicated driving often leads to recklessness, intoxication by itself cannot lead to a conviction of reckless driving. The driver must have done something that is defined in the above 13 categories, or operated their vehicle with wanton disregard for another’s safety in order to be charged with reckless driving. If you have been charged with reckless driving, you need the assistance of a Loudoun County, Leesburg, Winchester, Fairfax, and Prince William reckless driving defense attorney immediately. Call Simms Showers, LLP today at 703-997-7821.